Fans were asked to leave the stadium to use portable toilets, with the bathrooms closed thanks to "a water pressure issue." 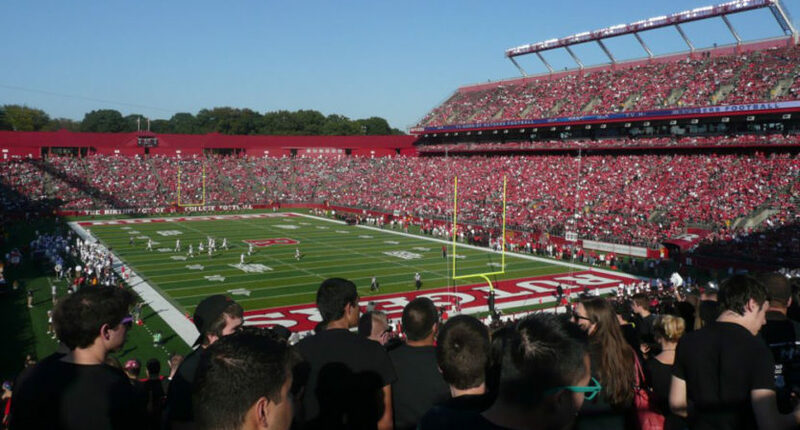 Rutgers having "Water Issues" and they ask fans to LEAVE the stadium to use porta potties. They will be welcomed back. Steve Harvey: "Name something that describes Rutgers football"
Rutgers currently trails Michigan State 16-7. Heading into this game, the Scarlet Knights were 18-30 overall in the last four seasons since joining the Big Ten, and 7-25 in conference. Oh, and they also gave Eastern Michigan their first-ever win over a Big Ten school this year. But hey, the Scarlet Knights have hot tubs, and a Jersey Shore promotion. Even if they don’t have running water.